All League Members Invited to ASU Pre-Match Clinic! WHAT:	USTA Central Arizona League Day - an event put on in partnership with Arizona State University - is a great pre-match celebration for USTA Central Arizona league players! The event will take place Saturday, February 20th from 9:30 to 12:00pm and the day's events are FREE. 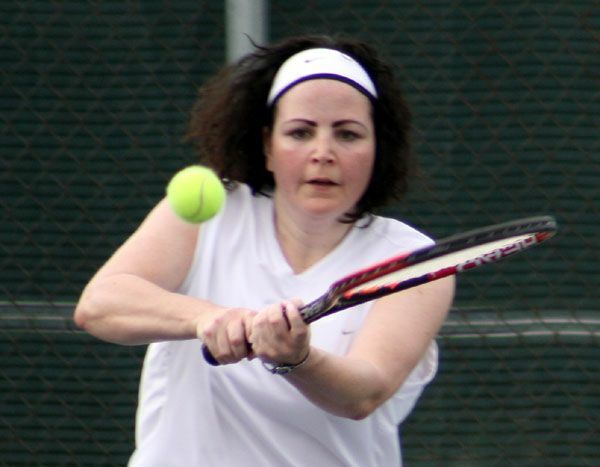 A special tennis clinic will be offered to all league players of the Greater Phoenix Area regardless of the league, whether it is USTA Leagues, Women’s Interclub, East Valley Senior Tennis League, ATA, Play Tennis, etc. Take this opportunity to learn some skills that you can use on the court in your next match as well as have the opportunity to see some great tennis. INFO:	The gates to the Whiteman Tennis Center will open at 9:30 a.m. The clinic will last for one hour, during which players can enjoy a free tennis clinic, raffles and prizes. League players can participate in tennis clinics, games and benefit from some suggestions made by some ASU Women tennis players! At the completion of the tennis clinic, lunch will be served and the players will have the chance to win more prizes. Come out to support the Lady Sun Devils and their match against St. Mary’s. Take the opportunity to celebrate tennis with your family! We look forward to seeing a ton of players and their families at the match!